60 Steel drawer cabinets for parts storage. 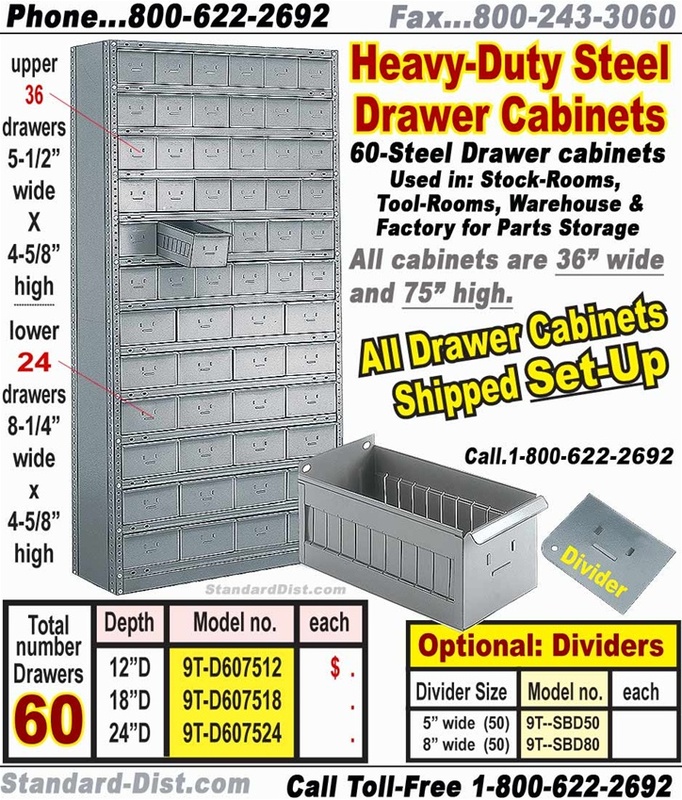 60-DRAWER STEEL CABINET, nut & bolt construction. Shipped set-up.